REUTERS/Umit BektasTurkey’s President Tayyip Erdogan addresses the media at the Presidential Palace in Ankara January 12, 2015. 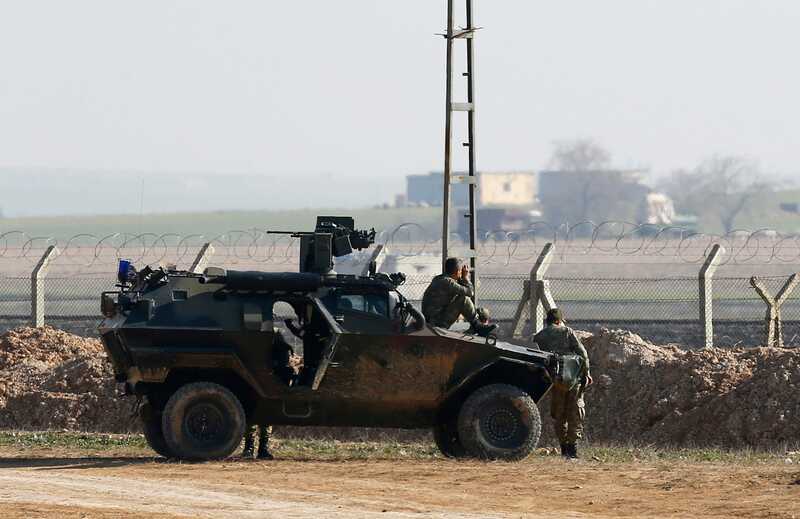 Turkey’s notoriously lax border policies are starting to catch up with Ankara and its allies who are trying to counter ISIS, Yaroslav Trofimov of The Wall Street Journal reports. “Turkey’s policy from 2011 and until mid-2014 was that anyone and everyone who wanted to fight Assad was welcome to go to Syria and do so,” Soner Cagaptay, director of the Turkish Research Program at the Washington Institute for Near East Policy, told WSJ. Throughout the Syrian civil war, Turkey’s southern border has served as a transit point for cheap oil, weapons, foreign fighters, and pillaged antiquities. As the conflict progressed, the fighters taking advantage of this loose border enforcement were more and more radical. Turkey cracked down last year and now regularly deports or bans people suspected of wanting to join insurgents in Syria and Iraq. But Western officials told WSJ that “more vigorous efforts to seal the border would expose Turkey to retaliation” from ISIS (aka Islamic State, IS, ISIL, or Daesh). “Turkey is trapped now — it created a monster and doesn’t know how to deal with it,” one Western diplomat told WSJ. The November report “Bordering on Terrorism: Turkey’s Syria Policy and the Rise of the Islamic State” details Turkey’s apparent willingness to allow extremists — including militants from ISIS — and their enablers to thrive on the 565-mile border with Syria, part of Ankara’s ongoing attempts to trigger the downfall of Syrian dictator Bashar Assad. Dr. Jonathan Schanzer, vice president for research at the Foundation for Defence of Democracy and a co-author of the report, described Turkey’s predicament to Business Insider in November. “They have inadvertently created a mechanism that can yield blowback for them that could be extremely painful,” Schanzer, a former counterterrorism analyst for the US Treasury Department, told BI. 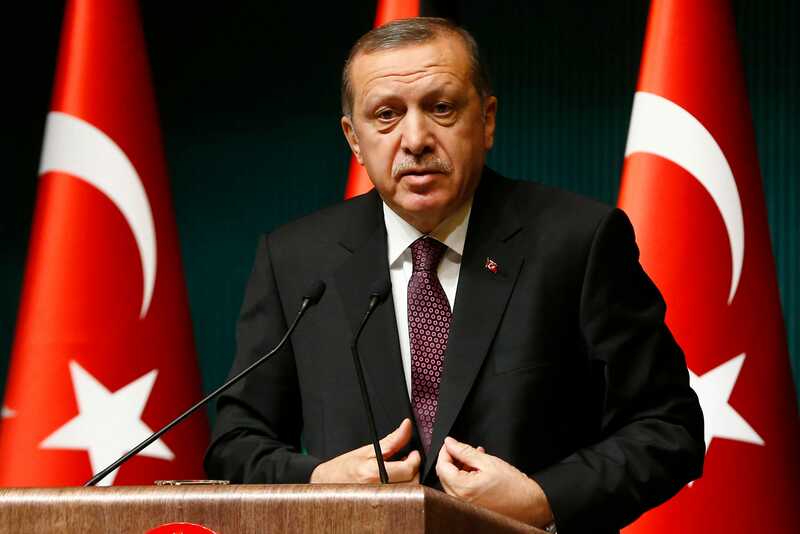 “You have a lot of people now that are invested in the business of extremism in Turkey. If you start to challenge that, it raises significant questions of whether” the militants, their benefactors, and other war profiteers would tolerate a big crackdown. 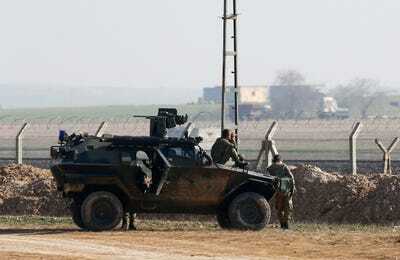 REUTERS/Osman OrsalTurkish soldiers monitor the border line as they stand guard near the Akcakale border crossing in Sanliurfa province, southeastern Turkey, where Islamic State militants control the Syrian side of the gate, January 29, 2015. Consequently, Turkey has fuelled an enemy that Ankara and its allies are struggling to contain or aggressively counteract.